“my real hair color is kind of a dark blonde. Now I just have mood hair”. But how to turn from a frozen blonde into a chestnut brunette, from a red-head into a chocolate brunette and from a brunette into an ash blonde without any harm to your hair? Learn how to follow a fancy and not a boring necessity! Colors give us splendor! First and foremost: be a conscious consumer. Read, ask and learn. Coloring is a treatment which affects the hair structure, so it is very important to choose high-quality products which help to restore sheen and softness to your color-treated hair. Rough and dull hair will dim even the most becoming color and won’t bring out its best. And this is not what it is all about, right? 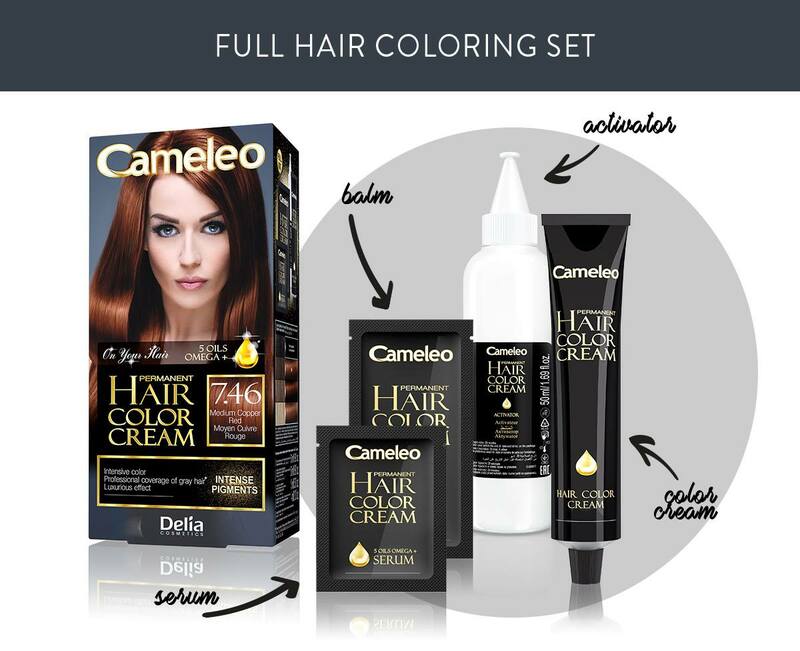 Is Cameleo Omega+ color cream for you? Yes! Because in addition to intense, multidimensional color, it provides double protection for your hair. Incredible color is owed to an innovative High Conditioning Enhancer technology which supports deep penetration of pigments into your hair. But what does it all mean for you? The color will be more resistant to being washed off and will stay longer exactly where it should. We have designed Omega+ color cream in such way that your hair isn’t left without protection for a single minute. The first step in this two-phase process is Omega+ serum, which is the precious composition of five natural oils, rich in nutrient-dense fatty acids omega 5,6,7 and 9: macadamia, sesame, corn, sunflower and olive oil. The trick is that you add this serum directly into the mixture of color cream and developer to protect and nourish your hair already during coloring process, exactly when your hair is most vulnerable and prone to damage. After coloring, your hair is hungry for vitamins and nutrients. Step two is a generous portion of creatine balm which seals hair scales, restores sheen, and conditions your hair. After all, we don’t want the unwanted side effects to spoil a pleasure of change, right? Cameleo want you to look in the mirror with confidence! 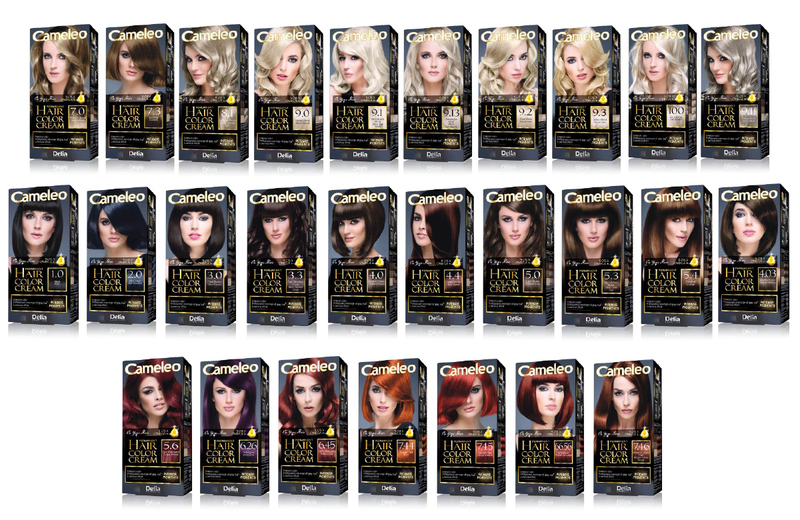 No matter which color you would like to have on your hair – we probably have it! Cameleo Omega+ color range includes 27 colors, from ash blondes, through mahogany, copper and plum shades, to warm chocolate and deep blacks. Yes, we also have colors that you can find on the trend-setting heads: metallic blondes, cool shades of browns, and copper shades of black. Is it a gray hair? It’s not a problem for us! Omega+ provides professional coverage of gray hair! I want to be red, right now! emember: every time you wish to change your hair color into a lighter one, be sure to decolor/bleach your hair first.